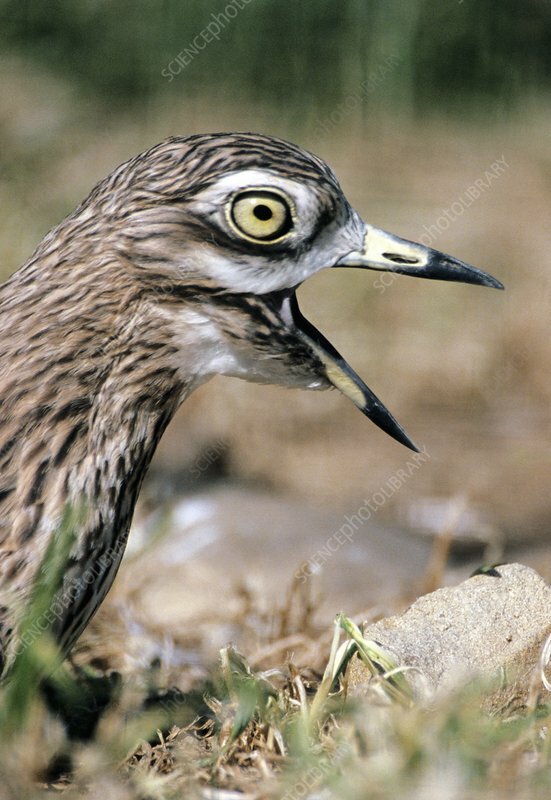 Stone curlew (Burhinus oedicnemus) with its beak open as it calls out. This bird's call is similar to that of an unrelated bird that is also called 'curlew', with the name being given for the 'cur-loo' sound of the call. This is a wading bird found in dry open scrublands in Europe, north Africa and south-western Asia. It feeds mainly on insects and other invertebrates, but will also prey on other small animals as well. Photographed in the La Crau region, Provence, France.